Jharkhand High Court asks Lalu Prasad Yadav to surrender by August 30; his request for 3 months bail extension on medical grounds has been rejected by the court. Lalu Prasad Yadav's lawyer Prabhat Kumar says, "now he will undergo treatment at Rajendra Institute of Medical Sciences (RIMS) in Ranchi. He will be brought from Mumbai's Asian Heart Institute where he is currently admitted." RJD chief and Fodder Scam convict, Lalu Yadav health has been deteriorating from past few days and he has been hospitalied in Mumbai private hospital. days ago, Yadav's son and former Deputy Chief Minister of Bihar, Tejaswi Yadav shared an emotional picture of father-son duo and said that he is concerned about his father Lalu Prasad Yadav's 'deteriorating health'. For more than a week, the RJD chief is being treated at the Asian Heart Institute in Mumbai. A spokesperson for the hospital gave the information. 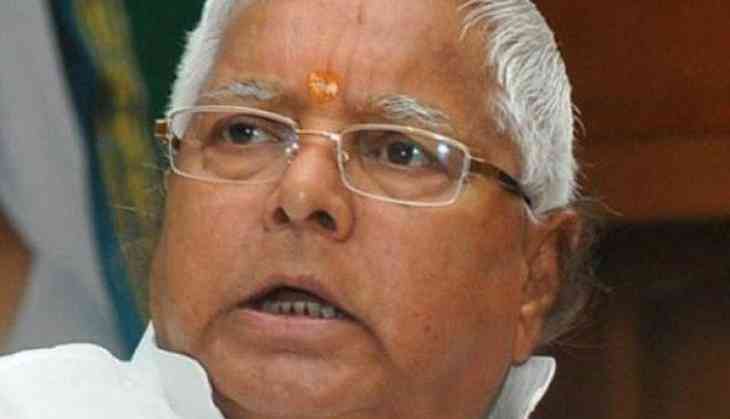 Lalu Yadav convict in fodder scam case is on bail these days but now have been asked to return to jail. He has been convicted in three different cases of the fodder scam by the special CBI court of Ranchi and sentenced to death.